Author’s note: The following post was taken from my other, more personal blog, Life After My Bachelor’s. If you like random bouts of insanity fueled by caffeine, yoga, and an unhealthy addiction to cheese, feel free to click over and follow me. On with the post! Sound familiar? If you got your bachelor’s degree in English, creative writing, or literature, it most definitely should. I get some pretty strange questions on a regular basis. Granted some of them come with the territory, but that doesn’t excuse the ignorance I come across at times. 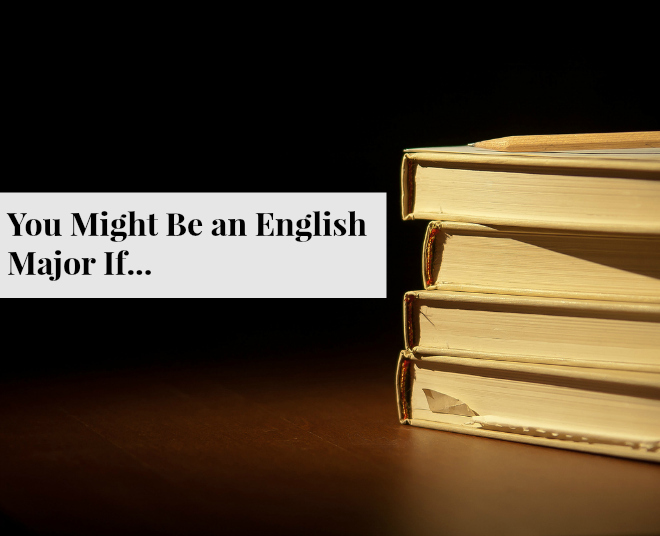 Troublesome questions about the future, your career, and inevitable poverty that every writer is damned to experience are a telltale sign that you might be an English major. I could go on with this list for forever. If anyone’s interested, I might write more in another post down the road. What do you think? Would you say these are accurate? P.S. Dibs on Hemingway. Find someone else.